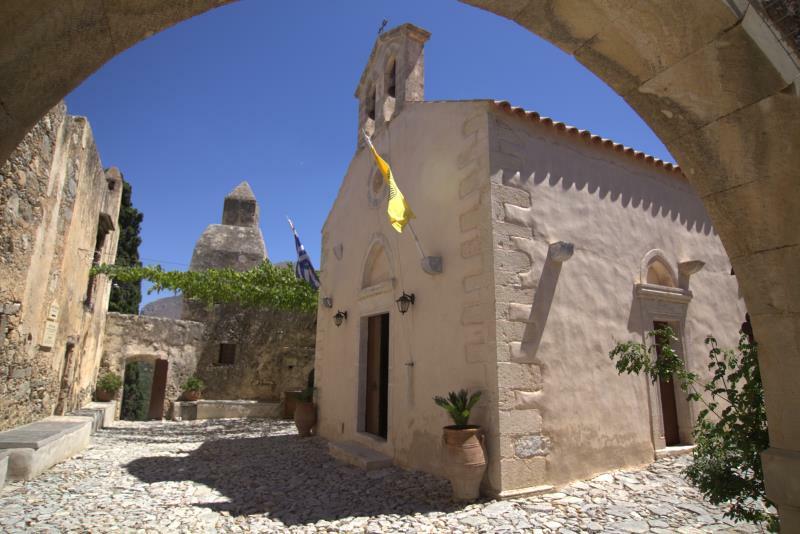 Plakias in Rethymno, Crete is located on the south coast of Crete about 30 minutes by car from the city of Rethymnon. Most of the houses are located close to the cove of the village with a great view to the bay of Plakias which has the shape of a crescent. The development of the place started in 1970. Until then there were less than 10 residences. 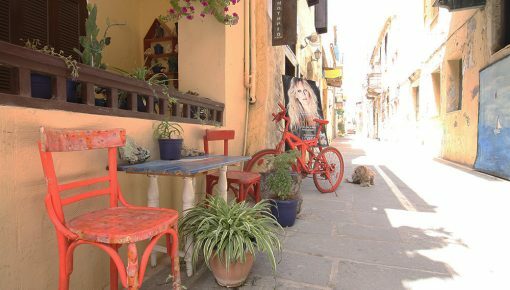 Although Plakias is a small littoral village, you can find everything you want. There are many shops, super markets, rental cars offices and travel agencies. However you will not find a bank, so be aware to have enough cash with you or a credit card. There are a few cafeterias but it cannot be characterized as a place with an intense night life. If you choose to spend your holidays here, it will be because of the beautiful beaches and the clean waters of the place. 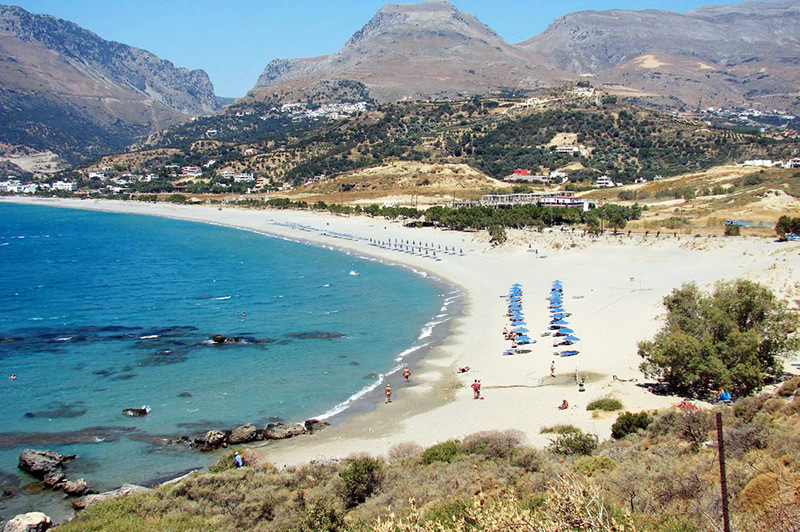 Plakias’ beach starts from the village and extends eastward. It is one of the biggest beaches in Crete and can satisfy all the tastes as its east side is offered for nudism. There are also showers along the beach and enough space for parking. 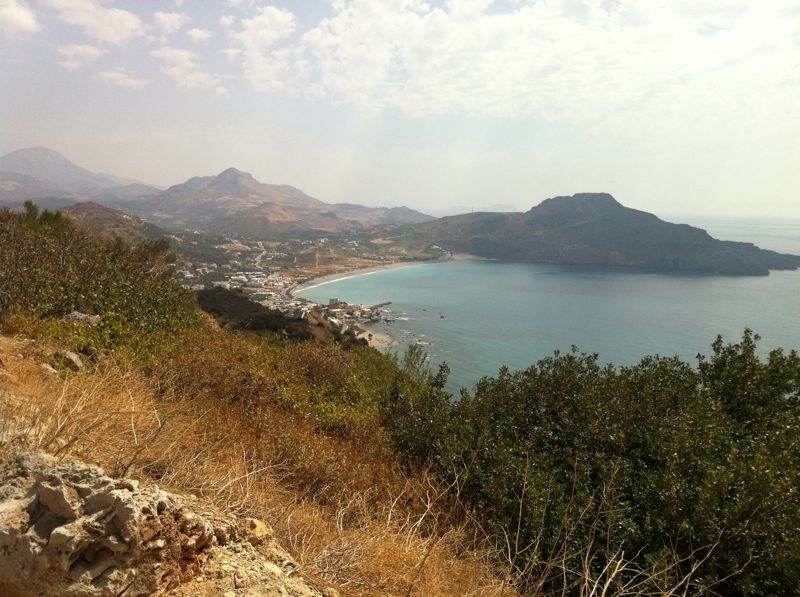 During your stay in Plakias it is possible that you will experience very strong south winds. 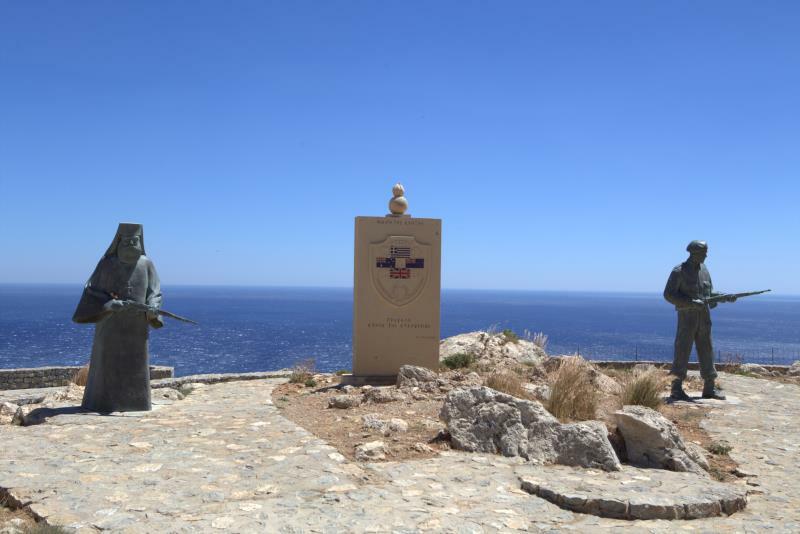 In this case, you can visit Souda beach in the west side which is sheltered from the wind. There you can find a few taverns to eat. Other beautiful beaches near are Damnoni, Ammoudi and Mikro Ammoudi. Mikro Ammoudi is also offered for nudism. Other beaches, a little bit farther, are Lefkogia and Sxinaria suitable for those who love diving. You will find a diving center also in Plakias. 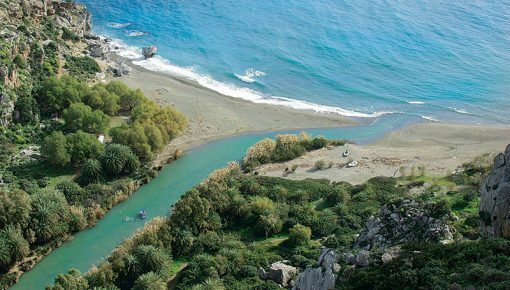 If you visit Plakias in Rethymno you will certainly hear about the palm forest and the lake in Preveli, two of the most popular sights in Crete with natural and unique beauty. Palms grow on the edge of river which stems from Kourtaliotiko gorge (you will drive through this gorge to reach Plakias). You can wander the paths of the palm forest, enjoy the trees’ shade or take some dives in the river. On the estuary there is a beach with umbrellas and a canteen providing coffee and refreshments. 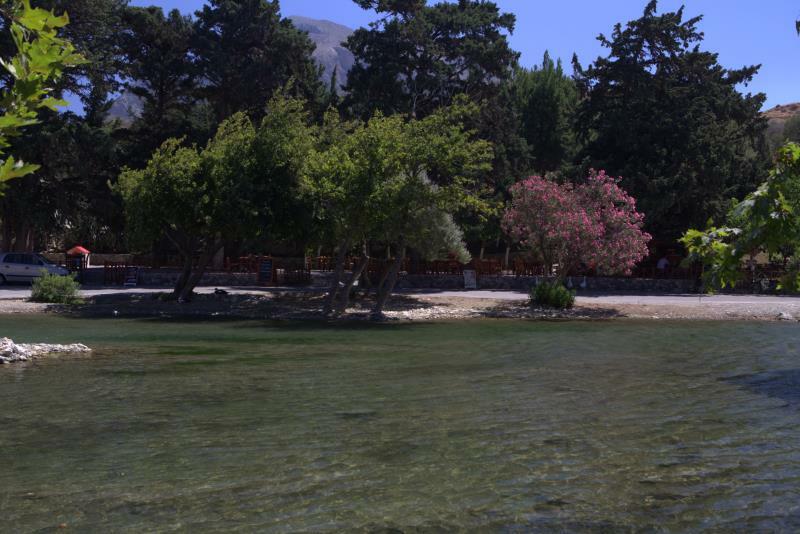 You can reach Preveli by boat from Plakias and Agia Galini or by car. 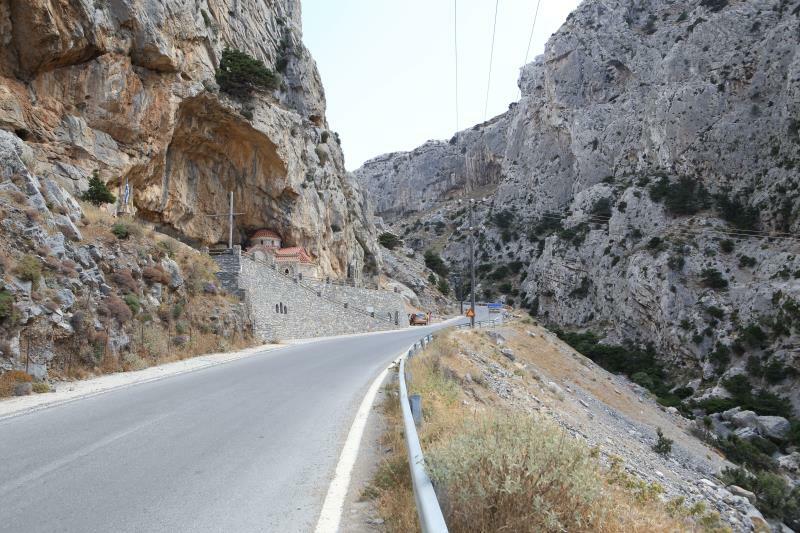 If you get there by car, you can visit the Monastery of Preveli which is located near the beach but you will have to descend several steps in order to reach to the beach. 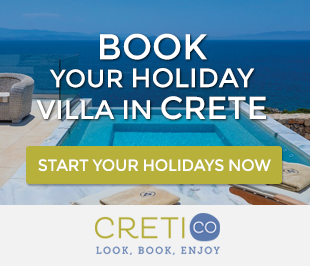 Posted on 05 Sep 2014 in Rethymno and tagged Beaches In Crete, Beaches In Rethymno, Plakias, Preveli.